Moving this summer? Don’t stress. By following a few moving and storage best practices, you can make your move a breeze. In this guide, our moving and storage experts at Stor-It show you how to keep things streamlined. 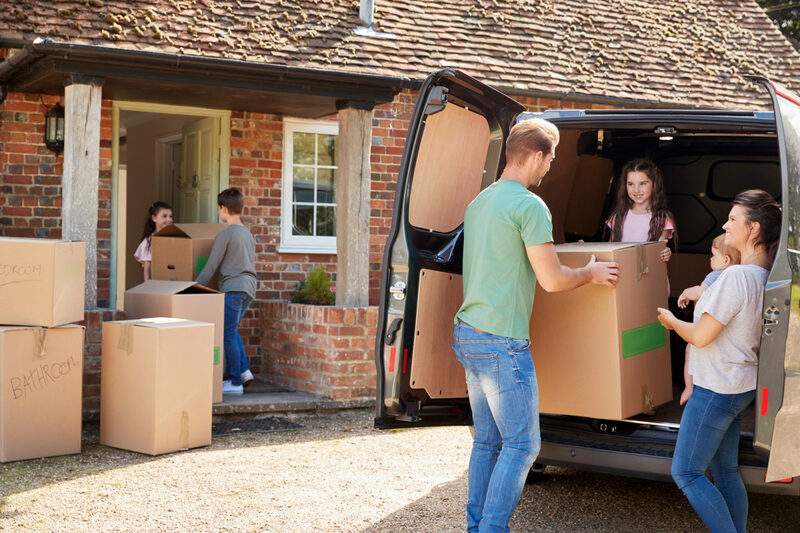 Whether you’re switching residences or clearing out your business, we’ll help you with expert tips and information to take the stress out of your summer move. If you’re moving a considerable amount of your belongings — especially large belongings like furniture — you’ll need to get transportation that can handle your moving needs. Sometimes, this can be as simple as asking a friend who has a larger vehicle for help. A better route is to rent a moving vehicle from a company in your area. This can save you time and stress and ensure that your transportation needs are covered on the day of the move. At Stor-It, we are an authorized U-Haul dealer and proudly offer U-Haul vehicles to rent from a number of our Treasure Valley locations. Moving can be taxing, both physically and mentally. If you’re planning a big move this summer, you shouldn’t be afraid to ask for help. Packing and moving all your items on your own takes a considerable amount of time and lifting large objects without supervision or assistance can result in injury and damage to the items you are moving. To make moving easier, ask friends and family for help on your moving day. Better yet, hire professional movers to help you with your big-ticket items. Just be sure to schedule movers ahead of time. Maintaining the condition of possessions during a move is critical — and it’s also one of the biggest stressors that comes with moving for homeowners and business owners alike. To ensure the well-being of your items and reduce stress on your move, invest in quality packing supplies to keep your belongings well-sorted and properly supported. Boxes, bubble-wrap, packing tape, and furniture covers are all essentials for any move, and they’re all available here at Stor-It when you need them. Often times, moving to a new a home or commercial location requires putting some of your items in storage for the short-term or even the long-term. While storage does add another dimension to a move, this dimension does not have to be one of stress. Follow these storage tips to help make storage for your summer move as simple and successful as possible. There are many self-storage facilities to choose from in most major cities, but that doesn’t mean units are always available. If you know you’re going to need storage for your summer move, we recommend looking for a storage facility well before you begin the moving process. Summer can be a busy time for storage facilities. Call the facilities in your area to ask about the unit sizes, amenities, and availability during the time of your move. If you find a facility that has open units, you can even schedule a tour to check out the property and its storage units. One of the most stressful components of storage is simply getting to it. Whether you are moving things into or out of storage, you don’t want a facility that’s a lengthy drive from your property. This adds extra hassle and stress to any move. Choose a facility that’s close to your home or business to keep commuting simple. If you live in the Treasure Valley, there is no better choice than our network of self-storage facilities here at Stor-It. With several locations in Boise, Meridian, Nampa, and Caldwell (as well as McCall), we’re sure to have self-storage just a few minutes from wherever you are. Imagine getting to your storage unit, unloading all your boxes and furniture, organizing them neatly in your unit, and realizing you don’t have enough space for everything. That’s the last thing you want. It’s important to take an inventory of everything you plan to store and choose a storage unit size that accommodates your needs. On the flip side, you also don’t want to get too large of a unit as it can result in you paying for space you don’t need. Use this guide to help you find a storage unit that’s just right. Want to learn more about how to keep your summer move stress-free? Our team here at Stor-It would love to help. Contact us directly to speak with a member of our team for moving advice and information on our U-Haul rentals and packing supplies. Ready to give our self-storage facilities a try for your storage needs? Explore our site to learn more about our many Idaho self-storage locations. Fill out the form on our home page to schedule a tour today!